As you know we are big fans of Pug dogs. In fact, we pugging love them! 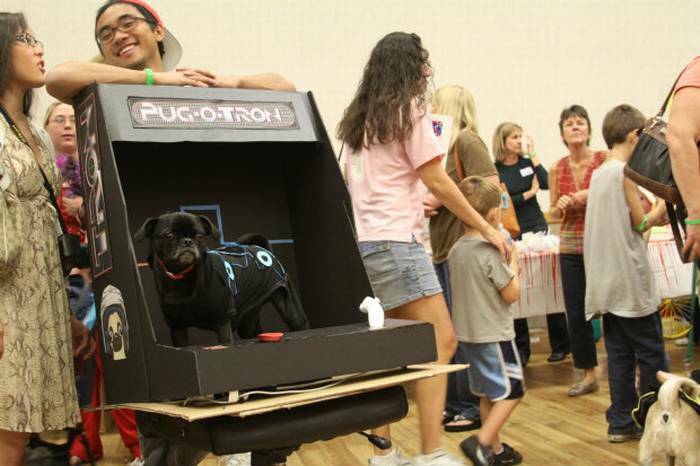 Earlier on in the year we were asked to get involved with fundraising for the Texan DFW Pug Rescue, who’s mission is to have “No Texas Pug Left Behind”. By rescuing around 10 pugs a week, we know it is a cause worth supporting. When they asked us to donate one of our prints to help raise money for their cause we were really excited to get involved. 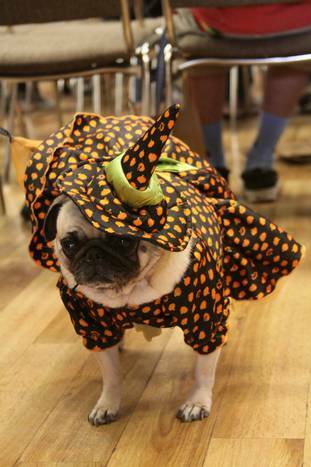 When we heard that the auction would be held at their annual Pug-O-Ween even we were over the moon! 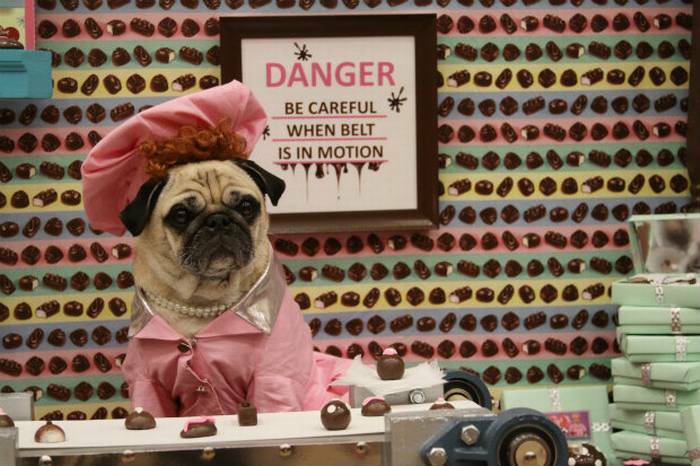 Hundreds of pugs dressed to the nines! We’ve just discovered a whole new level to how great Halloween is. Could there be anything better than this? 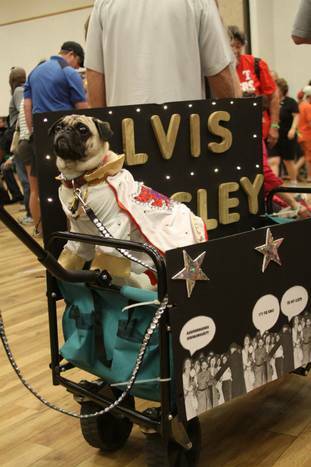 People have really gone all out for the event and we can’t wait till we have a little pug of our own to get involved with the festivities! These are all so pugging cute!!! I’ve gotta pin this to my Pets are Spoiled Pinterst board. Just too dang cute!!! Hahaha 😀 Thanks Kim, well said! I want one of each please! OMG, these are the cutest costumes ever! I love the witch one! It looks like a build a bear outfit! 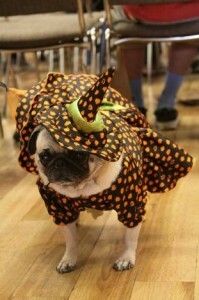 I can’t believe the effort people have made for their little pugs, its so inspiring! hahaha! It seems to be so normal to them 😀 Our pug will be fully dressed at all times 🙂 love it! You really are involved in so much! Well done for helping them to raise $50! That’s really something! 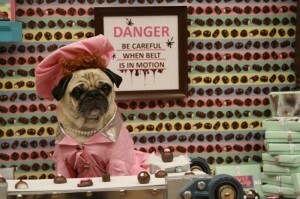 Pugs are so cute – I never used to like them, but they’ve really grown on me! Seeg’s uncles have some – I’m more excited about meeting their dogs than them! It was a really nice thing to get involved with as we totally adore pug dogs and plan to get one of our own as soon as we can! It’s sad to hear that in Texas there are 10 pugs a week who need to be saved! How mad is that! I too would be more excited to meet a pug than its person 😉 pugging brilliant!! This is awesome! Those little puggies are soooo cute too!